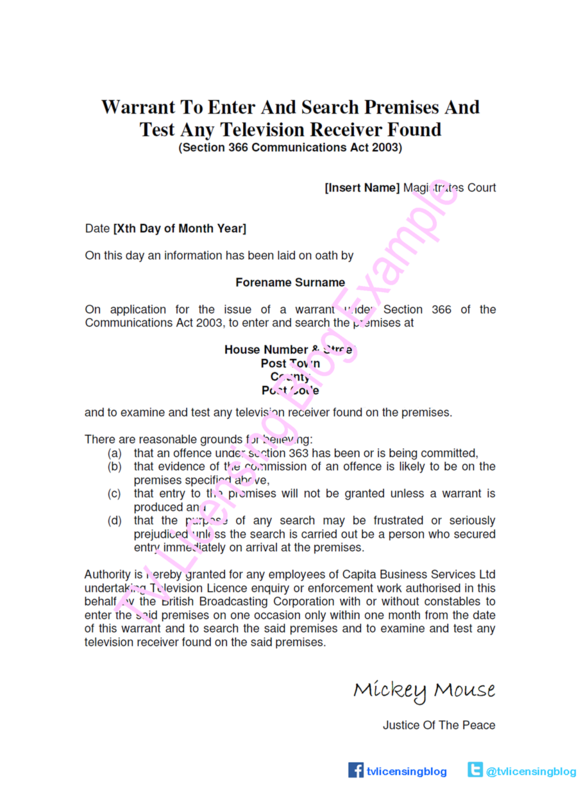 The BBC has inadvertently released TV Licensing search warrant statistics for the whole of the UK. Yesterday the BBC released a copy of the TV Licensing Performance Pack for March 2015 in response to a Freedom of Information request by Nathan Gregory (see request at WhatDoTheyKnow.com). The Performance Pack, just as the name implies, contains all manner of data about TV Licensing's performance at administering and enforcing the TV licence fee. Page 29 (of 32) of the Field Performance Pack, which you can view here, contains data about the number of search warrant applications made by TV Licensing in the 12 months to 31st March 2015. A cursory glance at that page seems to suggest that the key statistics, which the BBC always refuses to divulge, have been redacted, but the data is still available if you drill down into the finer detail of the document. We have reproduced the key data in this table, which we'd encourage you to download and share. Just as we suspected, there were no search warrants applied for in Scotland. We attribute this to the fact that the Scottish legal system would be far more robust than its England/Wales and Northern Ireland counterparts in analysing every TV Licensing search warrant application. In the whole of the UK there were only 351 search warrants requests made by TV Licensing's Field Enforcement Division to the TV Licensing Legal Team. 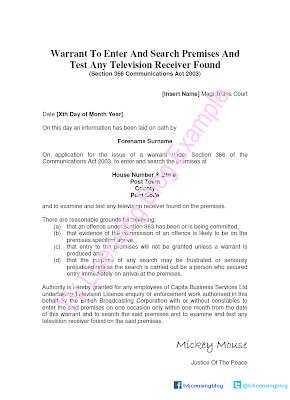 Of those TV Licensing made 256 search warrant applications to the courts, of which only 167 were actually granted. Of the 167 warrants granted, only 115 of those were executed (97 successfully, 17 unsuccessfully, 1 unknown). In London, there were only 2 search warrants granted by the court. One can only imagine the BBC's immense frustration that these figures - which the Corporation has sought desperately hard to keep hidden for years - have finally been released publicly due to its own incompetent oversight (not unlike this earlier case actually). These statistics finally confirm, once and for all, that TV Licensing search warrants really are rarer than hen's teeth. Certainly anyone who does not legally need a TV licence, should not be unduly concerned by the threat of a search warrant. The TV Licensing Blog would like to thank the BBC for its assistance in researching this article. If you've found this article useful please consider using our Amazon link for your shopping or downloading our free ebook. Edit (6/7/16): You can now download the complete unredacted documents here. Edit (9/7/16): As we predicted, the BBC has been making attempts to undo its mistake. It has contacted the WhatDoTheyKnow website to request removal of the "leaky" disclosure documents. The myth of fleets of detector vans has been busted, and now the myth of every request for a SW being granted has also been busted. excellent ! BTW if you look at page 1 you can find the number of employees in the Capita Field Force. The average "head count" was 475.2 for the year up to April 2015 although not all were carrying out visiting duties on a particular day. In terms of Full Time Equivalent (FTE) posts there were an average of 426.6 employees engaged in the Field Force.